Factory Installed, an exhibition at 500 Sampsonia Way featuring all-new works by artists Lisa Sigal, Bill Smith, Rob Voerman and Marnie Weber, opened on Friday, September 18. On Saturday morning, Dutch artist Rob Voerman met with Mattress Factory members for a hot beverage (courtesy of Zeke's Coffee and Arnold's Tea) and conversation. Rob Voerman's installation "Faculty" on the fourth floor of the Mattress Factory. "Faculty," Voerman's installation on the fourth floor of the Mattress Factory, reflects one of Pittsburgh's most famous landmarks, the University of Pittsburgh's Cathedral of Learning which features unique nationality rooms highlighting different cultures from around the world. Voerman's sculpture resembles what looks to be a fragment of that building with one-way mirrors for windows. One member touched on this aspect, referring to the windows as interrogation glass. She noted how it looks so different from the outside than it does on the inside. Rob Voerman (right) explaining how he works as an artist. Constructed out of wood and cardboard, Voerman explained how he's always worked with everyday materials. He went on to explain how he makes a cardboard model first, but always ends up changing things when be begins the building process. Rob Voerman's installation will be on view through Spring 2016. Don't miss our next Coffee Date with artist Anne Lindberg on October 17. 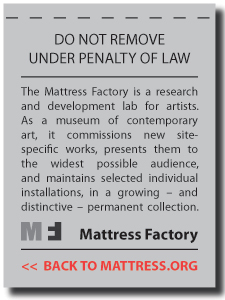 For more information or to become a member, please visit www.mattress.org. MOVEMENT is all around us! We move millions of miles everyday as our planet revolves around the sun in orbit, as our cars take us to school and back, as our eyes explore the birds playing in the trees... Grass and trees sway in the breeze, legs run to catch butterflies, and a soaring baseball can break a window. Mini-Factory looked at many different types of MOVEMENT as we explored Julie Schenkelberg's piece The Color of Temperance: Embodied Energy where objects, once whole, have been broken, bent and intricately arranged to create a new story. These objects express an embodied sense of MOVEMENT, they have been removed from their original context and transformed from their original state. Next we looked at Garden Installation by Winifred Lutz. What moves in a garden? The grass is swaying in the wind, a bird zooms through the air on his way to the other side of the neighborhood, raindrops drip drip drip from the morning storm. There is MOVEMENT everywhere we look, and so too our eyes move to follow all of this movement. Alternatively, Yayoi Kusama's Infinity Dots Mirrored Room provides us tons of fun MOVEMENT as we stumble around each other, moving from dot to dot reminiscent of the game, Twister. We also took time to explore our reflections; surrounded by mirrored walls provide a type of MOVEMENT which goes on forever and ever, infinity. So why not play some MOVEMENT based games? We took colorful balloons, pumped them up and let them go ... watch how they move! Zig zag, zoom, around and around, up and down! Can we make our bodies move like that? ... you bet. We were moving all over the lobby mimicking our crazy balloons - fun! Next we paired up with our grown-ups and played Sculpture and Clay; one person starts as a lump of clay on the ground, and one person is the sculptor moving the clay into different positions until - viola! - a masterpiece. Mini-factory is an interactive learning program for children ages 3 - 5 years old and their parents or caregivers. 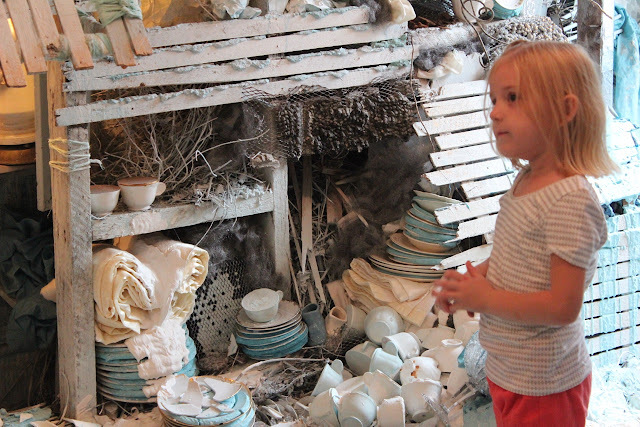 Using contemporary installation art, parents and children will explore new ideas and concepts from the everyday world. Join us at 10 am on September 26th for ZOOM. The Mattress Factory is gearing up for our first TEEN ART COOPERATIVE program and we want YOU! Applications for the program are now being accepted through September 20. Following up on the success of our Summer Art Cooperative, we will be continuing with a year-round program, which will allow young artists to be their own curators, event planners, art installers and more. Participants will interact with working artists and organizations to better understand paths for a creative life, planning their own events, and building skills that it can use in the future. Although we will focus on several visual art skills and workshops, this is not only a studio-based program. 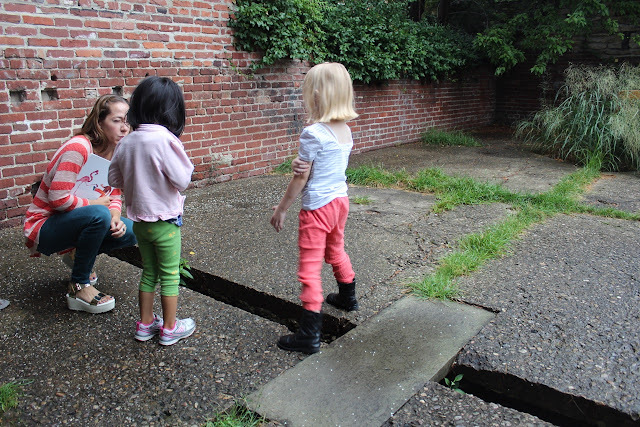 The Cooperative will be a diverse learning experience encompassing all sorts of ideas, actions and projects. Expect to hear about everything from dance troupes, to canning foods to screen-printing. We want to make the museum and the North Side of Pittsburgh expansive resources for teens in the same way that they are for visiting artists and members of the community. 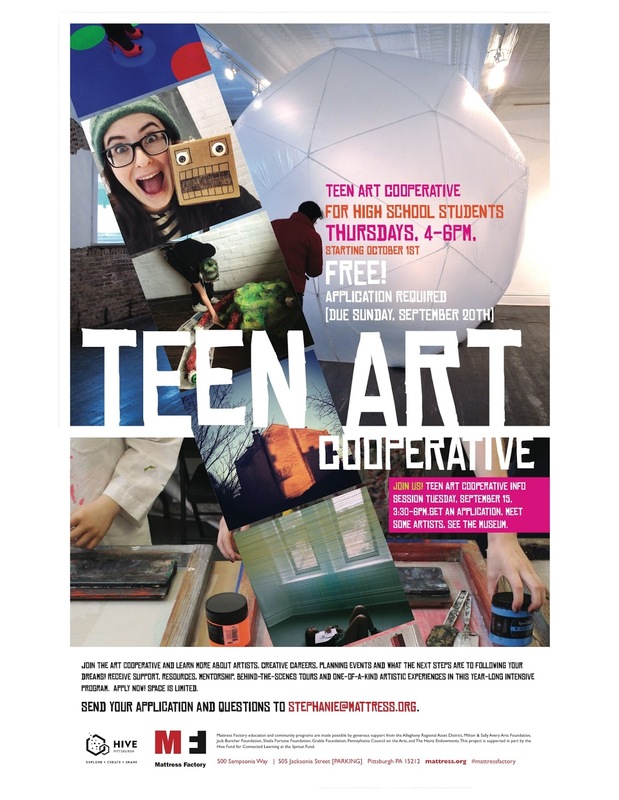 The MF's TEEN ART COOPERATIVE is an entirely FREE program. We ask that participating teens commit as best as possible to all Thursday afternoons for the 2015-2016 school year. We will meet every Thursday (excluding holidays) from 4-6pm, starting on October 1, 2015 and continuing to May 2016. For questions and more information, please email stephanie@mattress.org.